It’s a new year — what vegetables are you going to eat? In 2014, healthy food aficionados popularized kale, quinoa, and kombucha. According to a recent article in The Washington Post, nutritionists and food experts feel two other healthy vegetables will set the trend in 2015. “It’s the new white food,” Sacks adds. Those avoiding white foods, like pizza and bread, for their high sugar and gluten levels and low fiber content are expected to turn to cauliflower. A relative to broccoli, cauliflower can be grated as flour for pizza, mashed as a substitute for potatoes, and roasted. 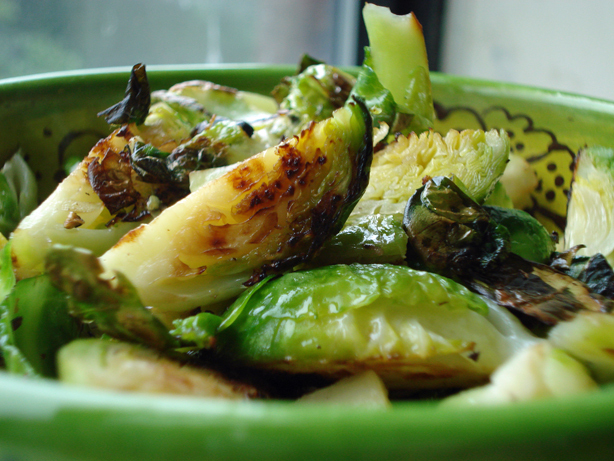 Brussels sprouts are another good option, with high levels of fiber, iron, and vitamins K and C.
Sarah Waybright, dietitian and chef/cooking instructor, says they are looking good for 2015. Using olive oil is another healthy option for vegetables. Wayford says instead of thinking “low-fat”, to think “high-veggie” with some added fat. Using olive oil not only gives them a crispier surface, but helps the body absorb plant-based vitamins and other nutrients. For ideas on how you can get a healthy start on 2015, check out Salud de Paloma’s recipe section.